Feeding the best dog food you can afford goes a long way towards insuring your dog’s health and it has added benefits to you such as fewer visits to the vet and your dog will enjoy a longer life. But, finding that ideal food sometimes takes a little research. Dog Food Labels can be misleading. Words such as “Premium, Advanced, or Select,” can imply the food is superior to other brands. But these labels can be completely wrong as we will show on the list of best dog foods below. Many of the foods that hold these titles are given a score of F, which if you ask any school student means: Failing. Sometimes we are encouraged to buy a particular brand by a pushy salesperson who may not fully understand what she/he is trying to sell. Sometimes, we just get into a habit of buying the same food without even considering the consequences until our small dog gets ill.
Perhaps your dog breeder suggested a food and you just stuck with it assuming she/he "knows best." Maybe you had a store coupon and couldn’t resist the urge to save a little money. Well, we all have our moments, but choosing the best dog food should take some thought and deliberation on our part. 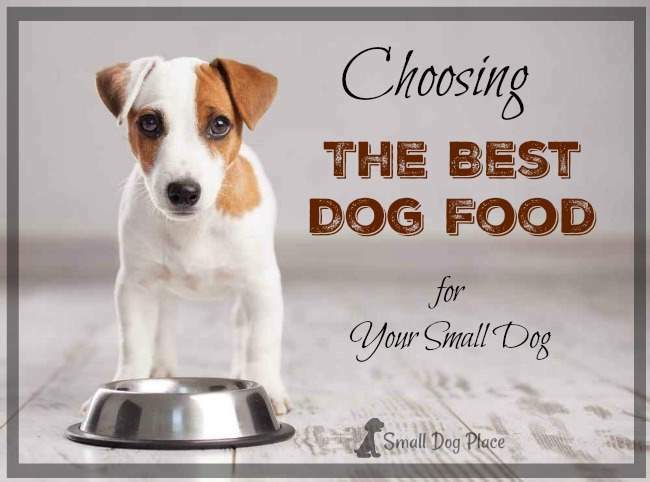 Dog food is not designed to be a one size fits all choice. Every dog is unique and may have special needs that require a specific type of food due to allergies or health issues. Dog come in many sizes and shapes and their food intake differs accordingly. Dog food for a Great Dane should be different from what you’d feed a Chihuahua. Life style and life stages all come into play when choosing a good diet. You wouldn’t feed your human infant the same foods you enjoy as an adult. The same is true of dogs. Each life stage has particular dietary requirements. 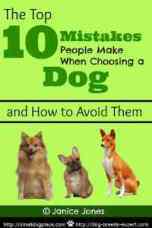 Adults, puppies, seniors, pregnant dames and nursing moms all have different needs and the choices you make for your dog should reflect this. 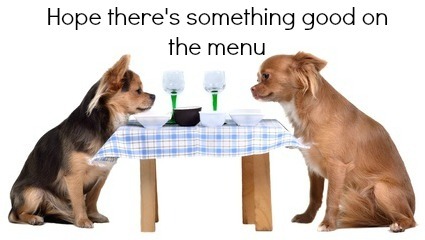 to evaluate many different dog foods. There are so many choices on the market today and new products are coming available constantly. Older products are improved and some no longer available. The list below is based on the Dog food rating system written by Sarah Irick, a Great Dane owner, rescue worker, and engineer who wanted a way to evaluate dog foods so she could provide the best dog food for her pets. If you have never read a dog food label, you might want to check out our Introduction to Reading Dog Food Labels. 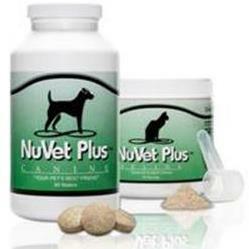 Feed the Best Dog Food that your budget will allow. Purchase your Dog Food from a retail pet store or online. Avoid brands sold at your local Grocery or Supermarket. When changing dog foods, gradually wean your dog off of your current food and onto the new food over the course of three or four days. Do not let the number grades given for each food get you hung up. It is likely if two people evaluate the food, you will get two different scores. 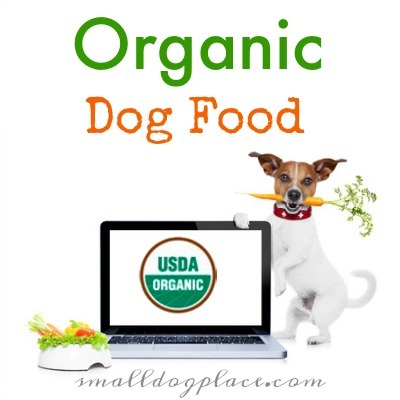 Does Your dog need an organic dog food? Is organic foods better than the rest? Find out. 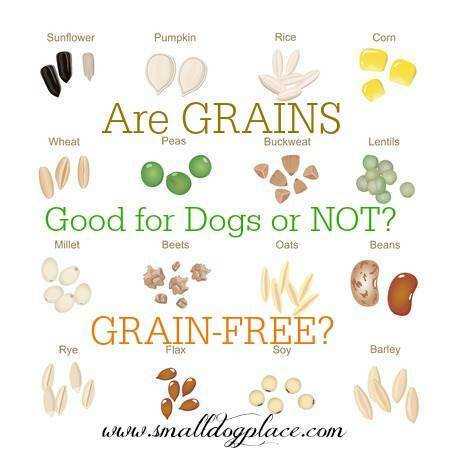 Grain Free Dog Food: Should your dog avoid grains? Find out. Grain free is all the rage, but is it necessary to feed your dog a grain free food?